Brooke was extremely nice to me yesterday by giving me her ticket to the Chuck D lecture at New York University. The event was centered on "Social Entrepreneurship in the 21st Century," though the lecture was more of a call to action. 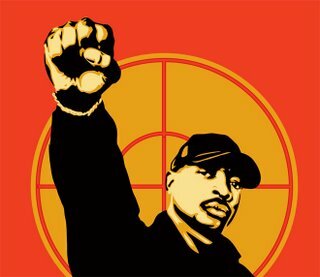 Chuck D not only stressed the importance of being mindful of what and how one consumes, but the significance of what one's message is, artistic or otherwise. He also declared correctly that we are not citizens of our particular countries, but Citizens of the World. So I say Thank You Chuck D for continuing to share your voice and your wisdom. Thank You.